We packed up this morning and Ice Bath drove us to South Lake Tahoe. She dropped us off at the Mellow Mountain Hostel, and they had a room we could get in early. I had ice cream for breakfast so I stayed in the room to make phone calls while everyone else went out to eat. Then I got a text from Stretch saying she’d overheard someone saying there was bluegrass at the Hard Rock all day. 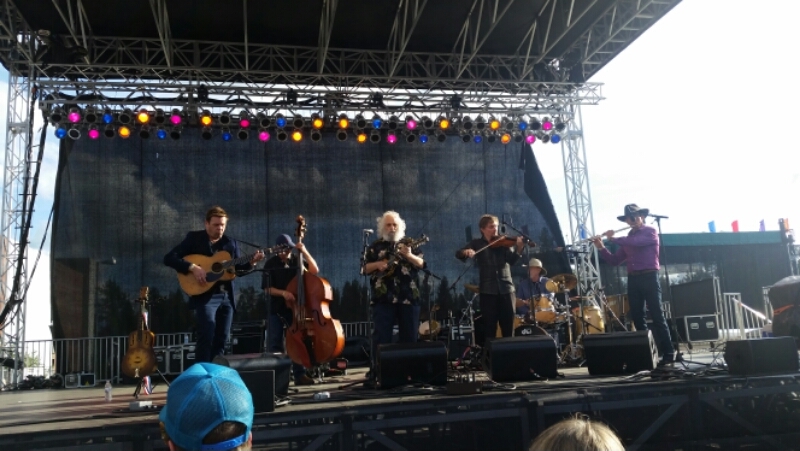 I googled it and found out the first annual Lake Tahoe Bluegrass Festival was happening only a couple of blocks away. 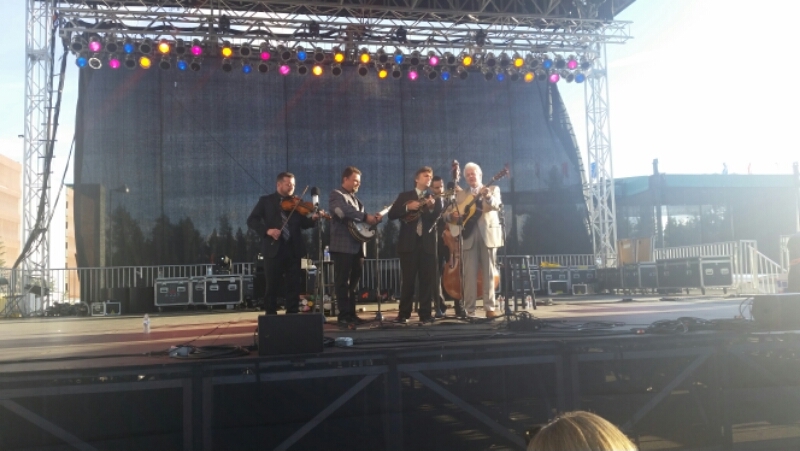 Del McCoury Band, David Grisman Sextet, Earls of Leicester, and Greensky Bluegrass were playing. Of course I had to go! It’s the first bluegrass festival I’ve ever been to in a parking lot instead of in a field, but it was great. Dawg played a very jazzy set, and Del was amazing, as always. I left a little early because I was so tired from standing on pavement in the sun all day and not sleeping a whole lot last night. I also got to send home my bear can today! I am super excited to be rid of the weight and bulk!